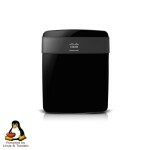 CactusVPN offers a fast and reliable way to secure day-to-day activities on the web. As a CactusVPN subscriber, you have the option of subscribing to single country (US/UK/NL) or multi-country (US+UK+NL) VPN plans. Although CactusVPN subscription plans are already pocket friendly, we have some special deals that makes the service even more attractive, including an exclusive CactusVPN Coupon code. 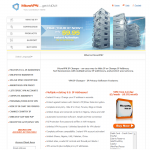 1) VPNCoupons Special Coupon – Save 34% on all monthly plans with the code vpncoupon33. 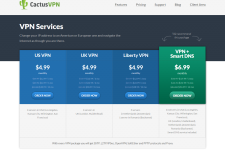 CactusVPN’s single country VPN service costs $4.99/month while its multi-country plans are available for $6.99/month but with our exclusive coupon, you can subscribe to the same plans for $3.34 and $4.68 (saving of $1.65 and $2.31 every month). To save money with this offer, just enter the coupon code vpncoupon33 in the “Promotional Code” box while creating your account and then click on “Validate Code” button. 2) 34% Off On US+UK+NL Annual Plan – CactusVPN’s multi-country plan would cost $83.88 for a year if you subscribe to the monthly plan (at $6.99/month) and renew it every month. However, when you subscribe to the annual plan, you can get the same level of privacy and security for just $54.99 and save $28.89 on your subscription right away. The discounted average price works out to just $4.5 a month and you also get CactusVPN’s SmartDNS service for free with this package. 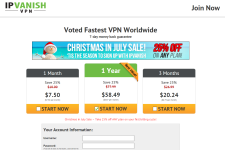 3) 34% Off On US/UK/NL Annual Plans – CactusVPN’s single-country (with US/UK/NL IPs) VPN plan costs $4.99/month (which works out to $59.88 per year) but you can save a lot by subscribing to the annual plan. 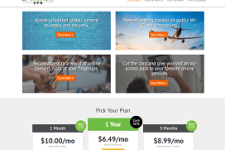 The single-cpuntry annual VPN plan is available for $38.99 so you get to save $20.89 on your order and the average price comes down to just $3.25 a month. 4) 34% Off On Torrent Plan – CactusVPN permits bittorrenting activities through its Dutch servers. If you are looking for a VPN to shield your P2P sessions from higher authorities then the CactusVPN NL plan would be perfect for you. As explained above, the NL plan costs $4.99 a month but you can save 34% by subscribing to the annual plan instead. 5) 70% Off On SmartDNS Service – CactusVPN’s SmartDNS package normally costs $4.99 a month but for a limited time, you can subscribe to the service by paying just $1.5 for the first month (regular price of $4.99 from second month). This insane offer lets you stream American and European movies and TV shows for one whole month for just 5 cents a day. CactusVPN is a Proxy, VPN and SmartDNS service provider based in Republic of Moldova. Having commenced its operations in 2012, CactusVPN has quickly established itself as a leading service provider that facilitates privacy, security and content accessibility on the web. 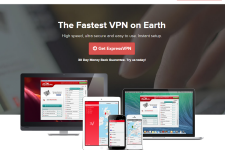 The company offers a top-notch VPN software for PC and Mac users and supports a number of VPN protocols which makes the service compatible with most Smartphones, tablets, computers and routers. CactusVPN makes it extremely simple to unlock GEO-IP restricted streaming services that are available only to American or European web users. On the privacy and security front, the CactusVPN service protects your online sessions from all forms of surveillance, secures your data and privacy at unsecured Wi-Fi hotspots and even allows you to bypass censorship at offices, schools and foreign locations.